Liz Brody’s article, “Why Women Stay in Abusive Relationships,” in http://www.glamour.com, compiled data from an online survey of 2,500 women ages 18-35. According to this survey, the number one reason why these women stayed in their abusive relationships was love. I believe most people marry because of love. Love is the glue that holds a relationship together. Love allows us to see the good in others, despite their flaws. It gives us faith in them. It enables us to envision their full potential, to look beyond the gloomy present and see the shiny future. Most importantly, love keeps hope alive. Hope for change. Hope for a better tomorrow. I married out of love. When I met my Xavier, I saw his ability to make his dream come true. I could relate to his dreams and plans. As a team, I believed that we would fulfill those dreams together. I had faith in him even when I saw his flaws. I believed that he could change. He behaved in ways that looked an awful lot like love. For example, he bought me gifts and flowers, took me to dinner, and attended to my physical needs. All these actions “proved” that he loved me. Then, when the abuse began to worm its way into the relationship, my view of love became skewed. How could he say he loved me when his actions showed otherwise? How could he whisper sweet words of love to me one moment, and then a few hours later belittle and degrade me? Even though I couldn’t make sense of his behaviors, I still needed to be loved by him. Therefore, I made it my responsibility to make him so happy that he could feel loved enough to love me back. When that didn’t happen, I internalized that I wasn’t good enough. There was something wrong with me. Or maybe I wasn’t smart enough to know his needs. But to arrive at this kind of thinking, I had to discard my own belief of love and accept his version. To accept his abuse and still believe that he loved me was incredibly dysfunctional. I wish I knew then what I know now: I had embraced a sick view of love from a person who did not know what healthy love was, let alone how to give it. I wish I also knew that he wasn’t the giver of the love that I needed to nourish my well-being. My definition of love wasn’t healthy either. I had come to believe that my happiness and self-worth was the result of another person’s actions towards me. 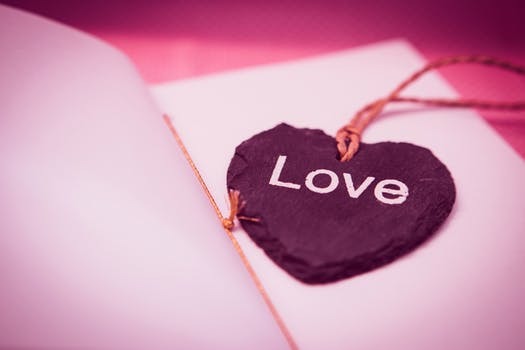 When I left my husband, I had to work on re-learning love, especially self-love. I had to go back to the ultimate giver and source of love, which is God. I had to redefine love and embrace that love in order to heal. What is love and what is not love? Love allows for your faults without criticizing everything you do. It doesn’t harp on your mistakes to belittle you. It guides you patiently through difficulties by teaching you to overcome your challenges. Love is empathic and compassionate. It produces goodness. It doesn’t make you feel “stupid,” “lazy,” “useless,” “like a failure,” or “unwanted.” It does not ridicule you. It always strives to bring comfort and joy, not fear or pain. Love is trusting, not suspicious. It does not spy on you or gather information to use against you. It does not stalk you. Nor does it try to separate you from your friends and family. Love always expects the best and gives you the benefit of the doubt. Love is not… boastful or proud. Love is humble. It does not need to be superior or make others feel that they are wrong. Love listens and seeks input. It accepts responsibility rather than seeking blame. Love is respectful and considerate. It is not aggressive. It does not seek to degrade. Love does not ignore your presence. Love respects you and your needs. Love does not… demand its own way. Love thrives on freedom. Where there is love, there is freedom. Love does not demand “my way or the highway”. It is not controlling. It respects your right to make choices, even when they are sometimes wrong. Love accepts and rejoices in the individuality and uniqueness of every one of us. Love is self-controlled. It is not easily angered, overly emotional, out of control, and does not experience “fits of rage.” Love is calm and accepts others’ weaknesses and differences. Love does not… keep a record of wrongs. Love is forgiving. It does not undermine or erode your confidence by keeping a record of your mistakes. It does not hold grudges. Love moves forward, rather than dwelling on the past. Love does not… rejoice about injustices. Love embraces justice. It does not take away your moral and legal rights, which include the right to speak your mind or participate in the decision-making processes, as well as the right to privacy. It does not take away your right to socialize or have your own personal friendships. It does not view its own rights and needs as more important than yours. Love recognizes the value and equality of others. Love rejoices when truth wins. Love cannot lie. It never deceives. Love does not keep secrets or twist reality. Rather, it celebrates when the truth is spoken. It does not hide abuse but exposes it. Love is honest and open because it has nothing to hide. Love is faithful. It has faith in you and your good character. It has faith in your abilities and accomplishments. Love leads you to believe in yourself. Love has high hopes for the future. It expects improvement and growth. Love seeks ultimate joy and peace for others. Love does not change with the circumstances. It does not use bad circumstances or outside influences as an excuse for doing wrong or hurting someone. Love endures patiently to achieve what is right. Love never dies. It does not show itself only when things are going well. It does not disappear during disagreements or conflicts. Love lasts forever. Form the scriptural definition of love, we can all see that we were not loved in our abusive relationships. Our abusers’ actions did not demonstrate love. To move forward, we have to go to the source of love and embrace God’s love so that we can love ourselves and then love others. When we embrace God’s love, we are empowered to break free from the shackles of abuse. Put your hope and trust in God’s love. Let your roots grow deeper in his marvelous love so that you may receive the power that comes only from God. This power will allow you to discard all of your dysfunctional forms of love and to love yourself and others the way he intended. “As the Father has loved me, so have I loved you. Now remain in my love” (John 15:9). In my last blog, I discussed denial as the most common reason for accepting abuse. In this blog, I will talk about fear as another reason why a woman might stay in an abusive relationship. Let’s start by looking at what fear does to the body. Fear activates our body’s alarm systems, just like denial. Unlike denial, which blocks us from experiencing the emotions, fear keeps us stuck in “fight or flight” mode. It allows us to live in a frightful state. As a result, we find ourselves trapped with no relief. Fear robs us of the energy that we need to function. This lack of energy impacts all areas of our lives, such as taking care of our children or doing our job. The strength needed for these tasks is shifted to thoughts of how to stop the violence and be safe. We become preoccupied with seeking ways to protect ourselves and our children. I remembered being preoccupied with what was happening at home. I spent many hours trying to make sense of my husband’s abusive behavior towards me and to find ways to escape it. His unpredictable moods kept me in a state of anxiety because I didn’t know when to expect an explosion of verbal threats and intimidation. As a result, I found myself physically and mentally exhausted both on the job and while caring for my three children at home. Fear stops us from seeking help. We feel helpless and believe that we can’t break free. We fear we cannot change our lives, so we stay. This is where your abuser wants you! He wants you to be in a place where you are afraid to seek accountability for his actions and, consequently, where he can have control over you. There are many types of fears experienced by the abused woman. A common fear is being blamed for the failure of the relationship. The role of the woman, according to society, is to make the relationship work. Because of this assigned role, we blame ourselves for not doing everything we can to create a happy family. This way of thinking is especially true for the religious woman who has a spiritual component that supports this belief. (I will discuss this aspect in future blogs). Other types of fears are rejection from family, friends, the community, and, especially for those who are religious, their faith community. For me, the fear of rejection from Xavier’s family kept me staying in the relationship. My mother died when I was nine years old. My mother-in-law had no daughters, and she treated me like her biological daughter. I was afraid that I would lose her and the relationships I had developed within his extended family. I know of survivors who lost relationships within their own families. The abuser was successful in manipulating family members to believe his version of what was happening in the home. And when they finally parted, friendships that had formed during the marriage were sometimes sundered as a result of his manipulations. Fear of rejection and judgment from the faith community is enormous, especially for the Christian woman. She fears that the church will condemn her for wanting to leave her husband. She fears that she will lose her membership in the church and the friends within it. I know of women who had to leave the church when they finally decided to end their abusive marriage. Others stayed because they were afraid to lose their church family. A Christian woman might even fear that she will be punished by God if she leaves the relationship. For the woman with children, there is the fear that they will lose their father if she leaves, and so to become failures in life. Society has doomed children from abusive relationships to failure. According to statistics, children from abusive relationships also become abusers or victims, or have high potential to use drugs and alcohol. This prognostication reinforces the fear of failure and robs the woman of hope for her children. I grieve the fact that my children will not have a father who is actively involved in their lives. I made every effort to smooth relations between my children and their father. Only when I realized that it was also his responsibility to nurture his relationship with them, was I able to grieve and let go. Fear of losing her children keeps the woman in the relationship. Any normal woman cares about her children’s safety and wellbeing. This fear gives the abuser another means of control: he can threaten to harm the children if she leaves him. She might also fear losing custody because she is unable to physically and financially care for them. Some women rely solely on their partners for financial support. Even those who have jobs and contribute to the household might not have any input into how the money is managed. With few financial resources, it can be difficult to leave the relationship. But the most important fear is the fear for her life. According to research, seventy-five percent of women who are murdered are killed after they leave their partners. In many cases, her attempt to leave is followed by increased threats to stop her. These are all legitimate fears. But when we let these fears control our lives, it hinders us from seeking change. It also obstructs our ability to see God working in our situation. It was difficult to accept that I had allowed my fears to stop me from seeking help and taking responsibility for my situation. I had to admit that I made a choice to take no action due to fear. Then I had to go through the painful process of learning to overcome those fears and move forward. To move forward, you must acknowledge that you made many decisions based on fear. 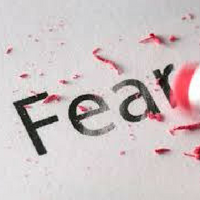 You must evaluate your fears to determine if they are rational or irrational, real or unfounded. Overcoming fears will require identifying them and seeking help. The domestic violence center in your area is an excellent place to seek help. Find resources in your community to help with financial support, childcare, and other tangible fears. You can check out my website, rosesaad.com/abuse-information/ for contact to resources for assistance. Safety will always take priority. Please ask for help to develop a safety plan! Be cautious how you deal with your abuser, especially if you decide to leave. Know your abuser and his potential for harm. There are different types of abusers. Some are volatile, especially when drugs or alcohol are involved. The potential for harm increases when the abuser has a violent history. Most of my fears were unfounded. My fear of losing my new family did not pan out. I still have a great relationship with my ex-mother-in-law and the rest of her family. My worries about being unable to support myself or the children also weren’t borne out. I was very blessed to have physical and emotional support from my church family and my ex’s family. My college-educated children are pursuing their various professions, and have the incredible hearts to serve others. As Christians, fear stops us from living the lives that God intended for us. As told in Isaiah 41:10, “So do not fear, for I am with you; do not be dismayed, for I am your God. I will strengthen you and help you; I will uphold you with my righteous right hand.” God wants us to overcome our fears and will be there for us when we do. As I stated earlier, examine your fears and seek help for the ones that are tangible. Remember that God is on your side as you seek help to overcome your fears. Hold on to his truths because they have the power to set you free.